Public health laboratory scientists are well used to the preparations and demands that come with emerging disease threats. But Zika virus is different. While the Aedes aegypti mosquito — the species by which Zika is most commonly spread — is not found in Massachusetts, the state’s public health lab began preparing for the disease in late 2015. At first, the pace of testing was fairly slow, Pentella said, with the lab receiving less than 20 specimens a week as of January. The weekly volume quickly ramped up to about 150 a week in February, then slowed around the time that officials began warning at-risk populations to avoid travel to high-transmission regions. As of early September, volume was back up, with about 130 specimens arriving at the Massachusetts state lab every week. Most of those specimens are coming from Massachusetts residents, but the lab is also providing testing for a handful of other states where Zika testing is not yet fully operational. At the moment, Pentella said Zika testing is “by no means overwhelming” the lab’s capacity, though he said it is adding significantly to staff workload. He is worried, however, that if another health threat arises on top of Zika, it could quickly push the lab to capacity. For example, the same personnel who conduct Zika testing also perform influenza testing. So if the upcoming flu season is particularly bad or a new flu strain emerges as Zika demands continue inching upward, “I’m very worried about our ability to handle both at the same time,” Pentella said. Public health systems, including labs, continually prepare and practice for the possibility of outbreaks and disasters, and staff are ready for the additional duties that come with understanding, monitoring and containing a dangerous pathogen. Still, effective and sustained response requires sufficient funding. And in the case of Zika — a complicated disease with multiple modes of transmission and the potential for devastating birth defects — that funding has hardly been forthcoming. As of Sept. 20, with more than 20,000 Zika cases confirmed in U.S. states and territories, including 43 locally acquired cases in U.S. states, Congress had yet to authorize emergency funding for Zika response. The White House first submitted its request for $1.9 billion in emergency Zika funds back in February based on recommendations from the scientific and public health community. But instead of acting quickly on those recommendations, Congress deadlocked on the issue. To make matters worse, that inaction comes on top of years of declining public health preparedness funding at the federal level as well as declining state and local public health budgets. Inside a public health lab, that funding inaction can have an acute effect. The equipment and its maintenance are expensive, the training is complex and the skill set is competitive. Yet, public health labs are indispensable to combating a disease like Zika. They provide the data that shape and drive effective interventions and provide testing services for all residents, regardless of their ability to pay. And even though the U.S. is well into mosquito season, public health officials like Pentella say federal emergency funding is still needed — urgently. Today, thankfully, there is nationwide coverage for the three tests used to screen for Zika virus, with public health labs bearing the majority of the testing burden but some commercial and clinical labs receiving authorization from the Centers for Disease Control and Prevention (CDC) to test as well. What’s unique about Zika, however, is that it requires both molecular and serological diagnostics. 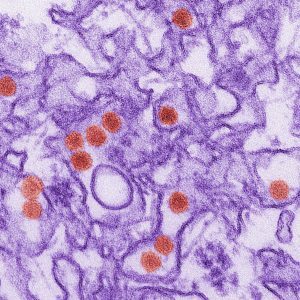 On the molecular side, nearly every public health lab in the country has been confirmed to screen for Zika via polymerase chain reaction (PCR) testing, which CDC recommends for symptomatic patients tested less than 14 days after the initial onset of symptoms as well as for asymptomatic pregnant women who may have been exposed to the mosquito-borne virus. A positive PCR requires no follow-up. If the result is negative, however, the next step is serological testing using the IgM Antibody Capture Enzyme-Linked Immunosorbent Assay (MAC-ELISA), which detects the antibodies the body uses to fend off Zika infection. In addition to confirming a negative PCR result, the serological test is recommended for asymptomatic pregnant women tested 14 or more days after potential virus exposure as well as for symptomatic patients beyond the 14-day window from initial onset. The challenge is that the MAC-ELISA is incredibly complicated, the throughput takes days longer than PCR, and, in general, serological testing isn’t a typical component of a lab’s surge response. Plus, many public health labs have either cut back or stopped ELISA testing altogether because of previous funding cuts, said Chris Mangal, director of public health preparedness and response at APHL. Those funding cuts meant many labs have had to spend valuable time and resources bringing their serological capacity back to the frontline. As of late summer, 43 public health labs could test for Zika using the MAC-ELISA. The MAC-ELISA may be the best way to identify Zika in asymptomatic patients, but it’s also incredibly nonspecific, said Kelly Wroblewski, director of infectious diseases at APHL. In other words, the ELISA can also pick up antibodies to dengue and West Nile virus, which are in the same genus of viruses as Zika, and that means a positive ELISA for Zika has to be confirmed with yet another highly complex test — the plaque reduction neutralization test (PRNT) — that only a small number of public health labs and CDC have the capacity to perform. Fortunately, Wroblewski said, most labs are currently able to handle the volume of specimens coming their way, with the exception of Florida, which is being bombarded with testing demands in the wake of local mosquito transmission. As of September 20, the Florida Department of Health reported nearly 700 travel-related Zika cases and 89 non-travel-related cases, 87 of which involved pregnant women. It also reported that the department had conducted Zika testing for more than 7,815 people so far, noting that it only has the capacity to test 4,930 people for active Zika (PCR) and 8,364 for Zika antibodies (ELISA). Florida is home to both mosquito species that carry Zika and mosquito season in the Sunshine State is pretty much year-round. Texas is considered a high-risk state for Zika, as it shares a border with Mexico and is home to both mosquito species that transmit the virus. As of September 20, Texas had 195 reported cases of Zika, all travel-related or transmitted via sexual contact. 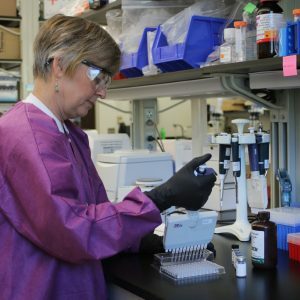 At the state public health lab in the capital of Austin, Grace Kubin, PhD, director of the Laboratory Services Section at the Texas Department of State Health Services, said the volume of Zika-related specimens arriving at the Austin lab every day has doubled since February — as of early September, the volume was about 50 a day. However, that number would be a good bit larger if Texas wasn’t able to spread its Zika testing demands across its network of state and local public health labs. Kubin said almost all LRN public health labs in Texas can perform the more rapid PCR test, while Austin- and Dallas-based public health labs can perform serological testing, with labs in Houston and San Antonio working to bring serological capacity online as well. Bringing testing capacity online had its challenges, Kubin reported. While the PCR process was fairly typical, the serological response, i.e. MAC-ELISA, was much more difficult. The MAC-ELISA, which received emergency use authorization in February, came with very specific biosafety guidelines that apply to serious or potentially lethal agents and complying with those guidelines is no easy task, Kubin said. Another challenge for labs is simply the time it takes to run a MAC-ELISA. For example, for the PCR test, the Austin lab can process a plate of 38 specimens in just a few hours. Serology also runs on a plate, but it holds just eight specimens and takes three days to process. To speed things up, the Austin lab set up a new system that allows it to process multiple serology plates each day. Of course, once a local mosquito-transmitted Zika case is detected in Texas, testing demands will likely surge — a turn of events the Austin lab is preparing for at the same time it responds to daily Zika needs. Kubin said the Iowa state public health lab has already offered its assistance to Texas in case Zika demands begin to overwhelm the Lone Star state. “Zika will continue to be the next new thing,” she said. 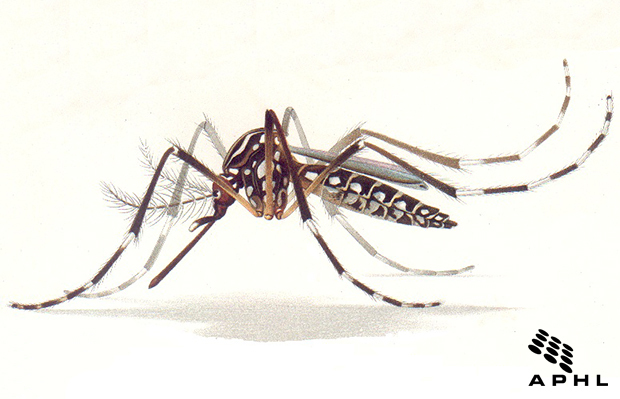 The Aedes aegypti mosquito doesn’t travel as far north as New York City, but its relative and potential Zika vector, the Aedes albopictus, does. According to the New York City Department of Health and Mental Hygiene as of Sept. 9, the city was home to 568 Zika cases, all travel-associated. Scott Hughes, PhD, associate director of environmental sciences at the New York City Public Health Laboratory, said the lab is receiving Zika-related specimens from about 50 patients every day. As of early September, the lab had performed testing for about 7,500 patients and received about 12,000 specimens. It began serological testing about two months ago. In addition to human testing, the New York City lab is testing mosquitoes too, screening about 200 pools of trapped mosquitoes every week. Like other lab officials, Hughes said he is also concerned about the lab hitting capacity if another outbreak happens in the midst of Zika response. Another Zika challenge both Hughes and Kubin mentioned was working with local obstetric/gynecology providers to receive specimens for testing, as such practices don’t typically work with public health labs. In New York City, the health department established a call center where providers can get more information; in Texas, public health officials partnered with professional pediatric and medical associations to disseminate information, among other measures. Out in California, Neil Silverman, MD, said educating medical providers is a “critical component” of Zika response. A high-risk pregnancy specialist, Silverman is an obstetrician at the Center for Fetal Medicine & Women’s Ultrasound in Los Angeles and since February, has been serving as a perinatal consultant on Zika for the California Department of Public Health. In his consulting role, he helped craft messaging for obstetricians that not only educated on the nature and epidemiology of Zika, but on who should be tested and how to go about accessing testing. To paint a clearer picture of the process, Silverman pointed to his own experience. Since the end of January, his practice has seen more than 200 pregnant women for Zika-related travel risks. At first, patient specimens were collected at the practice, then couriered to a nearby hospital lab, which then facilitated shipment to the county public health lab and on to CDC. Fortunately, the Los Angeles County public health lab now has Zika testing capability, but provider specimens are still couriered through a hospital lab. In particular, Silverman said, providers needed to know that any specimens sent to public health labs have to be accompanied with the proper epidemiologic paperwork; without it, testing can’t proceed. “I get questions about Zika every single day,” he said about his practice. “The anxiety level is high and I think it’s only a matter of time before we start seeing some local cases.” As of September 16, California had no locally acquired Zika cases. Silverman noted that as commercial labs have come online, it’s lessened the burden on California’s public health labs. But he also said that public health labs still offer one big advantage: they serve as a buffer against testing people who don’t need to be tested, making it easier for those truly at risk to access timely screening. Also, public health labs provide Zika testing for all those who need it, regardless of income or payer status, Silverman said, noting that one of the commercial labs his practice works with charges $165 upfront for Zika PCR testing. Unfortunately, dealing with severe funding cuts and budget shortfalls while still maintaining core public health functions has become a mainstay of public health practice. However, in the face of a threat like Zika and its potential consequences for newborns and families, one would think emergency funding would be a slam-dunk. But despite the concerted efforts of public health advocates, Congress has yet to authorize any emergency funding. In the face of such inaction, the White House redirected about $600 million away from Ebola response to fight Zika, and CDC was forced to redirect more than $44 million in Public Health Emergency Preparedness (PHEP) funds away from state and local health departments and toward national Zika response, though some of those funds returned to at-risk states and localities via CDC’s Epidemiology and Laboratory Capacity (ELC) program. The U.S. Department of Health and Human Services (HHS) redirected hundreds of millions of funds to domestic response as well, including $222 million that went to CDC. But those are only stop-gap measures. 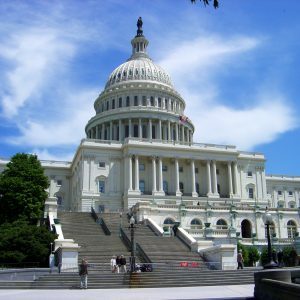 In an August letter to key members of Congress, HHS Secretary Sylvia Burwell wrote that “CDC is on pace to virtually exhaust all of its domestic response funding by the end of the fiscal year.” Without additional funds, Burwell stated that CDC will have “severely limited” capacity to support mosquito control and surveillance and improve diagnostic Zika testing. In turn, federal emergency funding is still desperately needed, said Kyriacopoulos, who noted that APHL has had more meetings with congressional offices on Zika than it has on all other outbreaks combined. In particular, Kyriacopoulos worries that the inaction on Zika funding and resulting reprogramming of funds away from other public health priorities could set a dangerous precedent.